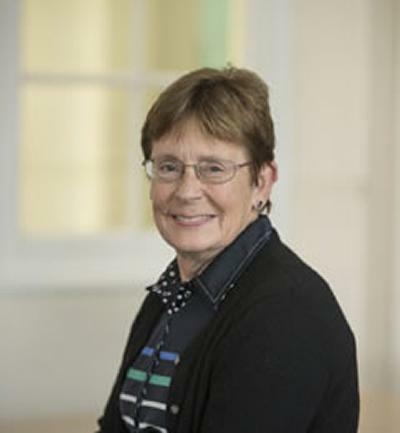 Professor Rosamond Mitchell is an Emeritus Professor of Applied Linguistics in Modern Languages and Linguistics at the University of Southampton. I studied Early & Modern Irish at Trinity College Dublin and taught French and Irish in a Dublin comprehensive school. I worked as a researcher and lecturer in applied linguistics in Stirling and in Edinburgh before moving to the University of Southampton in the 1980s. After many years in the School of Education I joined Modern Languages and Linguistics in 2004, where I was founding director of the Centre for Applied Language Research and Head of Department from 2011-2013. Following my retirement in spring 2014 I am now attached to Modern Languages and Linguistics as Emeritus Professor. I have two major areas of research expertise: second language acquisition, and foreign language classroom learning and teaching. In second language acquisition I have particular interests in the development of corpus based approaches for the study of learner development, and have worked extensively on the development of learner corpora in French and Spanish. In foreign language education, I have particular research interests in: classroom interaction and its role in language learning; critical thinking in language education; foreign language pedagogy for early learners; and informal learning by advanced learners during residence abroad. An investigation into starting ages, rates and routes of learning amongst early foreign language learners. Exploring language use and language values among multilingual immigrant students in England, Italy and Austria. This project has further developed the SPLLOC (Spanish Learner Language Oral Corpora) research programme and has included new data investigating the acquisition of tense and aspect by English learners of Spanish. Social networks, target language interaction, and second language acquisition during the year abroad. Mitchell, R., & Myles, F. (2019). Learning French in the UK setting: Policy, classroom engagement and attainable learning outcomes. Apples Journal of Applied Language Studies, 13(1), 69-93. Mitchell, R. (2015). The development of social relations during residence abroad. Innovation in Language Learning and Teaching, 9(1), 1-14. McManus, K., Mitchell, R., & Tracy-Ventura, N. (2014). Understanding insertion and integration in a study abroad context: the case of English-speaking sojourners in France. Revue Française de Linguistique Appliquée, 19(2). Mitchell, R. (2011). Still gardening in a gale: policy, research and practice in foreign language education in England. Fremdsprachen Lehren und Lernen, 40(1), 49-67. Myles, F., & Mitchell, R. (2005). Using information technology to support empirical SLA research. Journal of Applied Linguistics, 1(2), 169-196. Mitchell, R., Myles, F., & Emma, M. (2019). Second language learning theories. (Fourth ed.) Routledge. Mitchell, R., Tracy-Ventura, N., & McManus, K. (Eds.) (2015). Residence abroad, social networking and second language learning. (Eurosla Monographs; No. 4). European Second Language Association. Mitchell, R. F., Myles, F., & Marsden, E. (2012). Second language learning theories. Third edition. Abingdon, GB: Routledge. Johnston, B., Mitchell, R., Myles, F., & Ford, P. (2010). Developing student criticality in higher education: undergraduate learning in the arts and social sciences. (Continuum Studies in Educational Research Series). London, GB: Continuum. Mitchell, R., & Myles, F. (2004). Second language learning theories. (2 ed.) London, UK: New York, USA: Arnold Publishers. Mitchell, R., McManus, K., & Tracy-Ventura, N. (2015). Placement type and language learning during residence abroad. In Residence Abroad, Social Networks and Second Language Learning (pp. 115-137). (Eurosla Monographs; No. 4). European Second Language Association. McManus, K., Tracy-Ventura, N., Mitchell, R., Richard, L., & Romero de Mills, L. P. (2014). Exploring the acquisition of the French subjunctive: local syntactic context or oral proficiency? In P. Leclercq, A. Edmonds, & H. Hilton (Eds. ), Measuring L2 Proficiency: Perspectives from SLA (pp. 167-190). (Second Language Acquisition). Bristol, GB: Multilingual Matters. Mitchell, R. (2013). Making the case for the future of languages. In P. Driscoll, E. Macaro, & A. Swarbrick (Eds. ), Debates in Modern Languages Education (pp. 203-309). (Debates in Subject Teaching). Abingdon, GB: Routledge. Mitchell, R., DalNegro, S., & Ioannidou, E. (2012). European multilingualism, "multicompetence" and foreign language education. In P. Studer, & I. Werlen (Eds. ), Linguistic diversity in Europe: Current trends and discourses (pp. 203-232). (Contributions to the Sociology of Language [CSL]; No. 97). Berlin, DE: De Gruyter Mouton. Hilmarsson-Dunn, A., & Mitchell, R. (2011). Multilingual migrants in England: factors affecting their language use. In Becoming Multilingual: Language Learning and Language Policy Between Attitudes and Identities (pp. 67-89). Frankfurt am Main, DE: Peter Lang. Mitchell, R. F. (2009). Foreign language teaching and educational poloicy. In K. Knapp, & B. Seidlhofer (Eds. ), Handbook of Foreign Language Communication and Learning (pp. 79-108). Berlin, DE: Mouton de Gruyter. Mitchell, R. (2003). Rationales for foreign language education in the 21st century. In S. Sarangi, & T. V. Leeuwen (Eds. ), Applied Linguistics & Communities of Practice (pp. 114-131). (British studies in applied linguistics, 18). London, UK: Continuum. Rule, S., Marsden, E., Myles, F., & Mitchell, R. (2003). Constructing a database of French interlanguage oral corpora. In D. Archer, P. Rayson, A. Wilson, & T. McEnery (Eds. ), Proceedings of the Corpus Linguistics 2003 conference (pp. 669-677). Lancaster, UK: University of Lancaster. Marsden, E., Myles, F., Rule, S., & Mitchell, R. (2003). Using CHILDES tools for researching second language acquisition. In S. Sarangi, & T. Van Leeuwen (Eds. ), Applied Linguistics and Communities of Practice (pp. 98-113). (British Studies in Applied Linguistics; No. 18). London, UK; New York, US: British Association for Applied Linguistics / Continuum. Cable, C., Driscoll, P., Mitchell, R., Sing, S., Cremin, T., Earl, J., ... Heins, B. (2010). Languages learning at Key Stage 2: a longitudinal study. (DCSF Research Reports; No. DCSF-RR198). United Kingdom of Great Britain and Northern Ireland, GB: Department for Children, Schools and Families. Ford, P., Johnston, B., & Mitchell, R. (2006). Skills development and theorising practice in social work education. (SWAP Report; No. 3). Southampton, UK: Subject Centre for Social Policy and Social Work (SWAP), University of Southampton. Mitchell, R., Johnston, B., Myles, F., & Ford, P. (2004). Development of criticality among undergraduates in two academic disciplines. Southampton, UK: Economic and Social Research Council. I am on research leave in autumn 2013.